Here’s a roundup of all the big results involving Indian players on the ATP Challenger and ITF circuit. Even as India’s campaign at Wimbledon came to an end when Divij Sharan and his partner Artem bowed out in the quarter-finals, there was lot for Indian tennis fans to cheer as Ankita Raina and Karman Kaur Thandi advanced to the semi-final and quarter-finals at their respective ITF events. 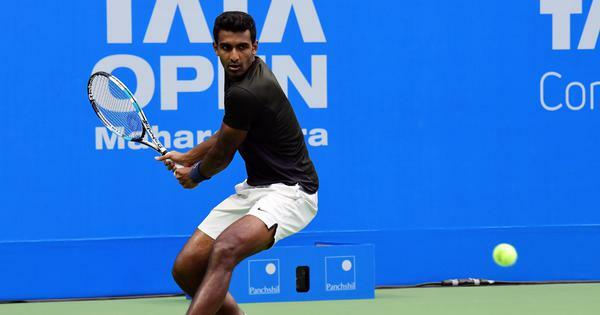 Here’s a roundup of all the big results involving Indian players on the ATP Challenger and ITF circuit through the week. 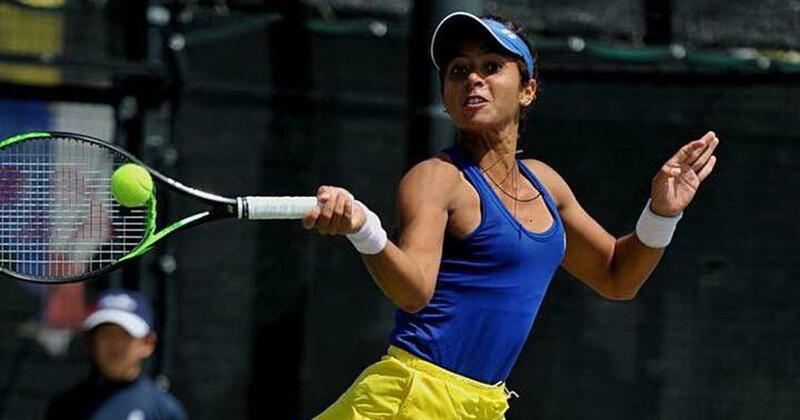 Ankita Raina, India’s highest ranked female tennis players, advanced to the semi-finals at the ITF $25K tournament in Thailand with a 6-1,6-4 Tamaryn Hendler. The second seed will take Han Na-lae for a place in the women’s singles final. In the women’s doubles, she and her partner Jang Su-jeong went down in the quarter-finals on Wednesday. Karman Kaur Thandi, who won her first title on the ITF circuit last month, reached the quarter-finals at the ITF $25K event in Tianjin, China. The third seed beat Xu Liu Sun 6-2,6-4 and will play fifth seed Xun Fangying next. In the women’s doubles, Thandi and her Indian partner Rutuja Bhosale went down in the quarter-final to third seed Xu Shilin and Naiktha bains 6-1, 6-2. Bhosale had lost in the first round of singles earlier this week. At ITF $15K tournament in Hong Kong, Zeel Desai, seeded second lost to Ayumi Koshiishi 5-7, 1-6 in the quarter-final, while Ashmitha Easwaramurthi went down to fourth seed Ho Ching Wu 6-3, 6-1. Koshiishi had beaten another Indian, Prerna Bhambri, in the earlier round. However Desai is still in contention in the doubles with partner Akari Inoue after a 7-5, 6-3 win over Eudice Chong and Man Ying Maggie Ng. Mahak Jain, seeded fifth reached the semi-finals of the ITF $15K event in Solo, Indonesia with a 6-3 6-1 Yexin Ma. She is the only Indian left in the draw after Sai Samhitha Chamarthi, Rishika Sunkara, Snehal Mane, Saumya Vig, Nithya Raj Babu Raj Bhuvana Kalva lost in the singles. On the Challenger circuit, third seed Ramakumar Ramanathan collapsed to a 0-6 4-6 loss to Evgeny Karlovskiy at the Winnetka Challenger. Jeevan Nedunchezhiyan and his partner Austin Krajieck beat Mitchell Krueger and Alex Lawson 6-3, 6-3 at the same event. Vishnu Vardhan and N Sriram Balaji, who had made their Grand Slam debut at Wimbledon, reached the semi-final of the Braunschweig Challenger. They notched a come from behind win against second seeds Andrés Molteni and Roman Jebavy 6-7, 6-4, 10-8. Sumit Nagal retired mid-match at the Bastad Challenger against Filip Horansky after losing the first set 2-6. Dalwinder Singh and Suraj R Prabodh failed to qualify in the singles for the Winnipeg Challenger in Canada. Evan Song beat Singh 6-3, 6-1 while Mikael Torpegaard beat Prabodh 6-0, 6-3. Aryan Goveas and Karunuday Singh lost in the first round at a F10 Futures event in China. Playing doubles together, they lost in the quarter-final.